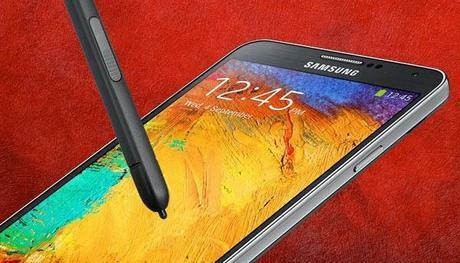 Samsung Galaxy Note 3 is another milestone achievement recorded by Samsung when it comes to smartphone. Since the release of Samsung Galaxy Note range, bigger and more expansive smartphone market has been dominated by Samsung. Galaxy Note range has been the primarily preferred smartphones for phablet lovers as the company pioneered a new genre, but it is now facing increasing competition from all sides. 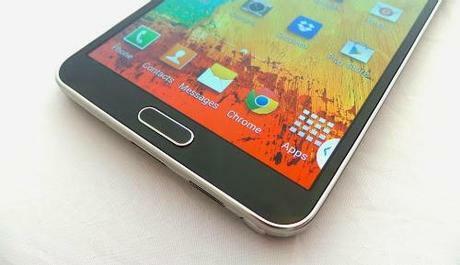 To help Samsung fight competition from other smartphone makers, the company has to come up with a bigger and better smartphone called Samsung Galaxy Note 3. 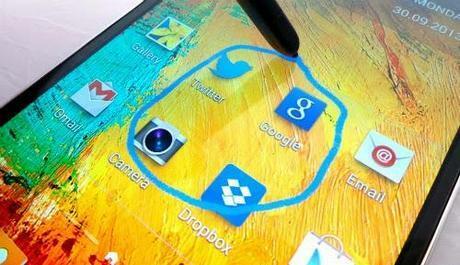 The smart device is expected to help reaffirm the company’s stance at the top. 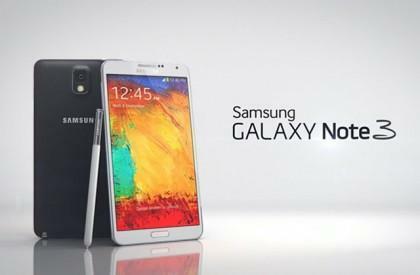 Although the Samsung Galaxy Note 3 may look massive, people will notice it’s actually slightly smaller than Samsung Galaxy Note 2. Whilst this equates to less than a millimetre in width, it’s a fair step thinner and lighter. Now, this may not be a big deal for your average phone, but on a giant like this the weight loss makes all the difference when in-hand. 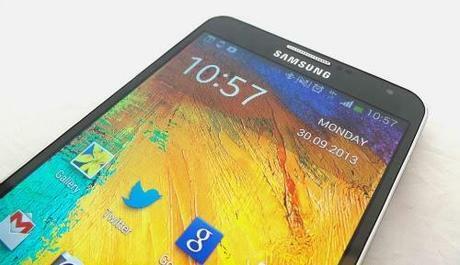 Samsung Galaxy Note 3 is a little bit sleeker, more streamlined handset which looks every bit the snazzy Galaxy handset. The much maligned polycarbonate rear cover has also been done away with, and in its place arrives a faux-leather effect textured back. It’s easy to hold, not slippy in the slightest and adds a sophisticated look to the handset. For Note 3, the enormous display is the stand-out feature. At 5.7-inches it’s verging on Galaxy Mega territory, so don’t expect an easy ride if you have got small hands, but visually it’s seriously stunning. With a ppi of 386 you wouldn’t expect much less, but images leap off the screen and HD video is ridiculously impressive. Indeed combined with the vastness of the handset, there’s potential for a real cinematic experience here. With its oversized nature, gaming is a big selling point thanks to the 2.3GHz quad-core processor. Android 4.3 makes one of its first appearances and offers endless customisation and a stable platform. But the most interesting software development is MyMagazine, Samsung’s interpretation of Flipboard. Accessed with a swipe from the bottom of the screen, it combines social, personal and news updates into one flowing app. It may not have the same good looks, and whilst there is still plenty of content to be added, it’s a smart little feature. The S Pen will also draw a great deal of attention – the stylish stylus has had a makeover and now comes with Air Command, as well as a slimline design. Hovering and pressing the button now brings search, snap and doodle functions through four new features, including searching the internet straight from a created note. Standard snaps on Note 3 camera are typically colourful and detailed and there are a few new modes, but the real drama surrounds the video recording, which can shoot in 4K. This is a huge feat, even with the lack of capable display, and whilst the footage has to be viewed through an appropriate screen to be appreciated, having such tech on board is massive. Thankfully Samsung has backed up an impressive handset with a powerful battery, and it will last a full day even with persistent use. This doesn’t equate to anything out of the ordinary, but an undercooked cell really would’ve put a dampener on the whole thing. General use is also impressive if you look past the size, with calls and text straightforward and well designed.